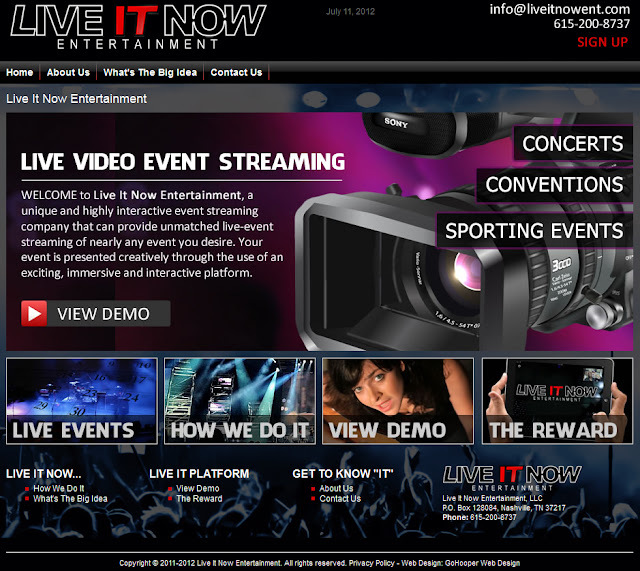 News Blog: GoHooper Web Design Nashville Web Designer Nashville Web Development: Website Design Company, GoHooper.com Announces the New Launch of "LIVE IT NOW ENT"
GoHooper Web Design is excited to announce the new launch of LIVE IT NOW ENTERTAINMENT in Nashville TN. The website contains an innovative video streaming platform that allows you to watch 4 different camera angles during the LIVE concert, sporting event or show. 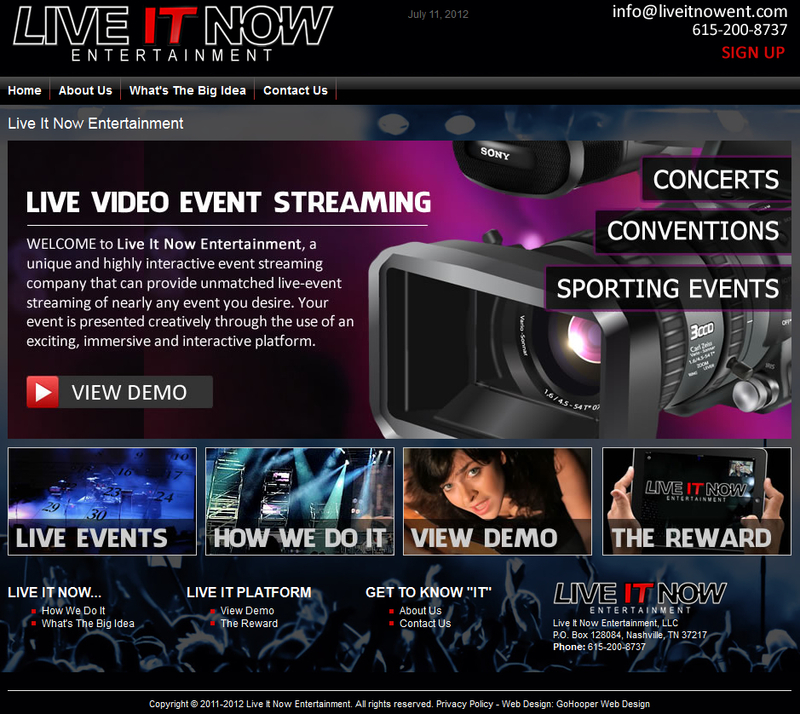 www.LiveItNowENT.com Give it a thumbs up!